Groundforce 2HSS is a top quality synthetic boosted 2-stroke oil, utilising the latest performance additive technology, for protection and performance. Petro-Canada’s HYDREX XV All Season hydraulic fluid is recommended for year-round use in piston, gear and vane hydraulic pumps found on industrial machinery and mobile equipment. 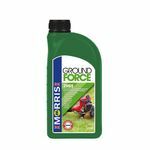 Groundforce Croma 30 Cutter Bar Oil is designed to meet all lumber industry, forestry, woodyard and estate management requirements. 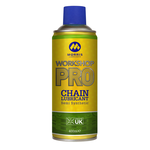 Provides excellent corrosion protection and improved chain performance in a wide range of climatic conditions. Groundforce SAE 10W-40 is designed to cope with the difficult conditions found in four stroke diesel and petrol engines fitted to horticultural, garden machinery and stationary equipment where multigrade oils are recommended. 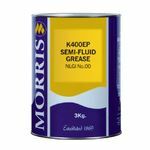 The oil is blended from solvent refined base stocks and performance additives to control vanish, soot dispersancy, low temperature sludge, oxidation, rust and corrosion. 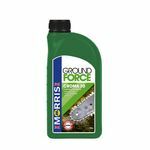 Groundforce SAE 10W-40 is recommended for all year use. 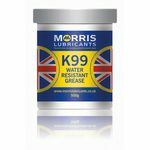 K99 is a premium quality, water resistant grease for use in industrial and marine applications where the presence of water and humid atmospheres can effect lubricating performance and be detrimental to the protection of parts from corrosion. K99 is suitable for plain and antifriction bearings. 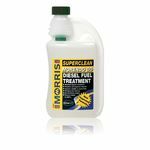 Superclean Morendo DD is a multifunctional diesel fuel additive that will improve ignition quality, combustion and storage of distillate fuels. Ground Force ATV 10W-40 is recommended for use in all-terrain vehicles, quad bikes, generator sets and other ancillary equipment, where a product of this type and viscosity grade is specified. Premium hydraulic oil - ISO VG 32 with excellent anti-wear properties and corrosion inhibition. 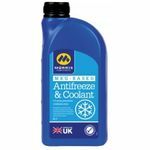 Good anti-foam plus rapid air release prevents sponginess, ensuring a positive hydraulic response. Ideal for use in mobile plant. Premium hydraulic oils - ISO VG 46, with excellent anti-wear properties and corrosion inhibition. 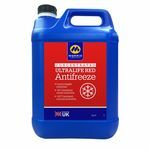 Good anti-foam plus rapid air release prevents sponginess, ensuring a positive hydraulic response. Ideal for use in mobile plant. 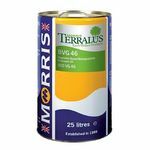 Terralus SB46 is a fully synthetic biodegradable hydraulic oil that may be used in environmentally sensitive locations such as agricultural land, forest floor, ground near water courses and reservoirs and construction sites. 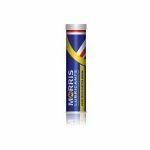 Terralus SB46 is based on synthetic esters to reduce gumming and high temperature oxidation, while improving low temperature fluidity. 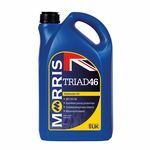 The formulation also contains approved performance additives, to reduce corrosion, wear and extend equipment life. Premium hydraulic oils - ISO VG 68, excellent anti-wear properties and corrosion inhibition. 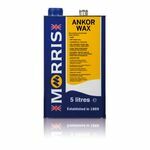 Good anti-foam plus rapid air release prevents sponginess, ensuring a positive hydraulic response. Ideal for use in mobile plant. 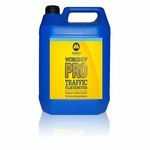 Terralus UTTO is a biodegradable multi-functional tractor transmission fluid that can be used in transmissions, hydraulics, oil immersed (wet brakes), PTOs and final drive systems. 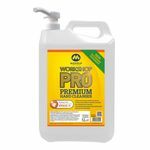 The product has been carefully formulated from raw materials that have demonstrated a level of biodegradability that makes it an ideal candidate for use where environmental impact must be reduced to a minimum. 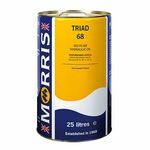 Terralus Viroclean is a non-toxic, water-based, biodegradable cleaner. The concentrate is mildly alkaline to aid dirt removal but contains no petroleum or chlorinated solvents.